YE AH BABY ITâ&#x20AC;&#x2122;S MELON TIME! AS USUAL this festival is organised by community volunteers and funded by generous donations. The dedication of these community-minded businesses and people over the past 25 years has made the festival the iconic event it is today. Thank you to all who have contributed over the past 25 years. Since the last festival, Chinchilla has had the addition of The Big Melon. Chinchilla was fortunate to win an online competition run by Wot-If to promote Australia’s next “big” thing. The unveiling of The Big Melon on national breakfast television brought great publicity not only for Chinchilla but this festival as well. In a natural progression of this, Wot-If are now the sponsors of the Big Melon Competition on Friday. The weigh-in is at 3pm Friday, February 15 in the main arena. Our usual line-up of quirky events is available for your participation in the arena on the school oval. These include skiing, bungy, pip-spitting, tug-o-war, iron man and chariot race. Don’t forget the free melon feast where you get the chance to eat some of Australia’s tastiest chilled watermelon for free. Please come along and enjoy yourselves. If you can’t find the information you need in this publication go to melonfest.com.au. FRONT COVER IMAGE: Oscar and Ella Bowman at the Big Melon. Image by Jodie Williams Photography. Outfit by Little Pods Chinchilla. Melons supplied by Davfarmco. 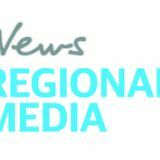 CONTACT US: Editor: Shannon Hardy Advertising: Rachael Green and Jodie Williams Inquiries: advertising@chinchillanews.com.au Publishers Indemnity: Chinchilla Melon Festival 2019 Guide is published by News Corp Australia. Those who make advertising placement and/or supply copy material or editorial submissions to the magazine, undertake to ensure that all such material does not infringe on copyright, trademark, defamation, libel, slander or title breach of confidence, does not contain anything obscene or indecent, or does not infringe the trade practices act or other laws, regulations or statutes. Further to the above-mentioned these persons agree to indemnity the publisher and/or its agents against any investigations, claims or judgments. When: 11am-midnight Where: Chinchilla State School oval, Colamba St side. Cost: $5 per person, 18+ only. When: 6pm sausage sizzle, 7-9.45pm movie Where: Chinchilla State School front oval Cost: free. All children must have parent or guardian supervision during the event. THE KIDS BIGGEST MELON COMPETITION. • Competitors must be 12/Under 1st PRIZE $100.00 | 2nd Prize $50.00 | 3rd Prize $20.00 • Judging will take place on Friday 15th February along side the Biggest Melon Competition. On the Chinchilla State School Oval From 3.00pm. CHINCHILLA NEWS WELCOMES YOU TO FESTIVAL’S SILVER ANNIVERSARY IT’S that time again! The 2019 Melon Festival is all ready to go and the town is well and truly bursting with enthusiasm. You can bet the Chinchilla News team will be all over the excitement like watermelon juice on a hungry kid’s chin. For everyone coming to visit for the festival, whether you’re a returning local, a frequent visitor, or someone coming by for the first time, we know you’ll have a blast - we always do. The festival committee has once again gone above and beyond to make this event happen and the continued sponsorship from local businesses goes to show how important the festival is to everyone. As you make your way around the festival, be sure to thank the volunteers whose hard work and non-stop effort keeps the event running. This year’s festival will be bolstered by the fact that Chinchilla is now home to the Big Melon, which will no doubt keep the festival spirit alive even after the week is over. With multiple events running at all times over the main festival weekend, there will be an activity to suit everyone from music lovers and foodies to sports spectators and athletes. The 14th Chinchilla Melon Festival has you covered. So get out amongst it and keep your eyes open for the friendly Chinchilla News staff as we capture the action. Don’t be afraid to stop us and let us know what your favourite parts of the festival have been so far, we’d love to hear from you. Brothers Tim & Wayne Collie established the business in 2000. They have built up their business employing local staﬀ, supporting community events and using local businesses. There Head oﬃce is in Condamine Qld and now expanding with a new Industrial yard in Roma Qld. From Condamine to Surat to Roma to Wallumbilla, we can meet your earthmoving needs. The melon mash in 2003.
core committee. Our executive doesn’t change a lot but we have lots of other people come on with new ideas,” Ms Thornton said. The first festival in 1994 was dampened by 60mm of rain on the Saturday but that did not deter the people of Chinchilla. President of the committee at the time, Fred Ainsworth, spoke to Chinchilla News in the week after the 1994 festival. “Australia must now know that Chinchilla is the melon-growing capital of the country,” Mr Ainsworth said. With 25 years under their belts already, the Melon Festival Committee is set to continue on this beloved local tradition. Jimmy Swoboda and his Melon Head in 2011. Kate Lees tries her hand at Melon Skiing in 2011. STANDBY: Paramedics are ready for Melon Fest. ■ Drink water. If you don’t have your water bottle on you, there are plenty of stalls around that will be selling water and often there are options available for free water as well. ■ Try to avoid too many sugary or hot drinks. Just because it’s liquid, doesn’t mean it’s helping to keep you hydrated. ■ Wear loose-fitting clothing and make sure you wear a hat when you are in the sun. ■ Make the most of the activities inside. There are cooking demonstrations, kids’ activities and a Melon Festival art competition display in the cultural centre and art gallery. ■ Keep an eye on the people around you, especially those more vulnerable like the elderly, children, or those with a medical condition. 4 x 8 Float and Dolly, All combinations of Side Tippers, Flat Tops, Drop Decks, Grain Tippers, Water Cartage and D10 Dozer. Also suppliers of Gravel and Quarry Products, Gypsum and Hay. MELON Festival regulars will no doubt be familiar with the intense heat that covers the region in the middle of the day. While it may seem like a typical summer day, it is important to pay attention to your body and not get distracted by all the fun activities and sugary food and drink. Heat exhaustion can creep up unexpectedly and knowing the symptoms can help to head it off before it progresses to heatstroke. Chinchilla-based advanced care paramedic Anthony Downes explained that heatstroke was a more advanced stage of a heat illness. “Heat exhaustion is like our pre-warning symptoms,” Mr Downes said. Symptoms of heat exhaustion include extreme thirst, headaches, nausea and your skin getting hot to the touch. “Once we get into heat stroke, then we’re talking about people having seizures, confusion, severe cramps and fatigue, so a much more serious state,” he said. Mr Downes said the earliest warning signs of heat exhaustion were feeling generally unwell and very thirsty. In those early stages it’s important to get cool as soon as you can. “Drink some water, get to a cool place, if you can remove some clothing, cool yourself down by wetting yourself with water, like your face and head as well, and ideally just sit down and get out of that hot environment,” Mr Downes said. If you think you are suffering, or someone you are with is suffering, an extreme heat condition you should seek medical assistance. Chinchilla Ambulance Service will have additional staff covering the festival to assist. THERE will be a couple of chances for festival goers to hit the bowling green with two social bowls days at the Chinchilla Bowls Club during the week. On Wednesday, February 13 and Sunday, February 17 regular and casual bowlers can join in the fun for a few hours. Both games have a start time of 1pm with names for Wednesday due in by 12.30pm and Sunday by 12pm. GOLF DAY AVID golfers can take a swing on Friday afternoon, February 15, at the Melon Festival Golf Day. What better way to start the festival than an afternoon on the golf course before taking in your choice of Friday night events around town. Prizes will be up for grabs so the afternoon will be the perfect mix of social and competition. The three-ball ambrose will begin at 1.30pm, with teams requested to arrive by 1pm. Cost is $60 a team, please phone 0419 668 849 with any inquiries. TRIVIA NIGHT IT’S time to test your melon again, with Chinchilla State High School P&C’s trivia night on Saturday, February 9. P&C president Leanne Fitzgerald said there were some great prizes up for grabs, with the first place table receiving $500, second place $300 and third place $100, along with spot prizes to be awarded throughout the night. “Just relax, chill out, have a great fun night with a few laughs,” Mrs Fitzgerald said. Teachers Brad and Helen Hubbard will be the evening’s quiz masters so be prepared for a challenging evening. Mr and Mrs Hubbard said there was a lot of fun to be had and they had more than 150 questions covering a wide range of topics and levels of difficulty. The night will be held at the Cultural Centre, with doors opening at 6pm and questions starting at 7pm. Tickets are $20 a person with tables of 10. People are encouraged to bring their own nibbles. A licensed bar will be operating on the night. GREEN BOOK BASED in 1962 in the American deep south, Green Book is the story of Dr Don Shirley, an African-American classical pianist, and Tony Lip, a tough-talking Italian-American bouncer from the Bronx. Dr Shirley hires Lip when he needs a driver. The movie tells the story of the unexpected bond the two men form on their journey while confronting danger and racism in a time of segregation. The Chinchilla Melon Festival committee is holding a premiere event for Green Book on Thursday, February 14 at the Chinchilla Cinema. Go along for a great night at the cinema and enjoy some nibbles and drinks before the film. Doors open at 6pm for the pre-movie function before the movie begins at 7pm. Tickets for the event are $25 per person and can be purchased at trybooking.com/book/event?eid=457494&. 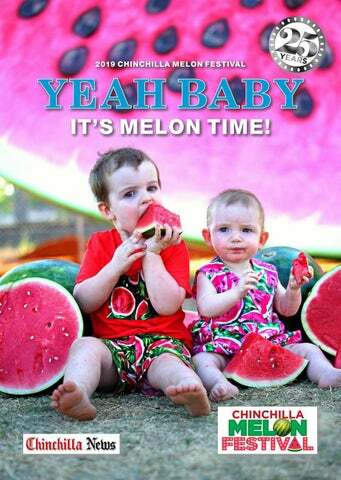 ENTERTAINMENT and good food is certainly a theme at every Melon Festival and Thursdayâ&#x20AC;&#x2122;s Come 4 Lunch is no exception. The Uniting Church will be hosting a three-course sit-down luncheon at the Chinchilla Cultural Centre. Media personality and entertainer Ruby Slipperz will keep guests laughing with her comedy, musical numbers and whole personality. Ms Slipperz has an extensive history in the radio industry, most recently she returned to her home town of Toowoomba in 2015 to work at 92.9 Voice FM. In addition to her work in radio, Ms Slipperz has also written, directed and performed in many stage comedy productions. In between the whirlwind of entertainment from Ruby Slipperz, local musicians will be providing beautiful background music to enhance the atmosphere of the event. Doors open at 11am for pre-lunch drinks before guests can take their seats at 11.45am for their meals and the entertainment. Tickets are $60 a person and all profits will be going back into the Chinchilla community through the Uniting Churchâ&#x20AC;&#x2122;s charity work. art, jewellery, mosaic, glass, fibre, anything like that. “We have the woodwork section, we have a fibre art two-dimensional section – a lot of people in our town are very involved with patchwork quilt making, so we get a few entries with that.” There is also the drawing section and usual two-dimensional painting, pastel, print-making mixed media section. “Probably the best known one visible to people at the moment is the melon out front of the council centre,” Mrs Dennis said. The metal melon was created by Dion Cross, who won the spatial construction category at the 2017 festival competition. For those who can’t make it to the opening night, Lapunyah Gallery will be open during festival week and on the main Saturday. “People like to come in out of the heat and have a quiet moment,” Mrs Dennis said. The competition preview night is a free event but attendees are asked to RSVP to the gallery on 4668 9908.
close-up look at a gas well. “And it’s a chance for visitors to talk with our Origin staff and learn more about how we contribute to the local community and support fabulous events like Melon Festival. “You’ll also find our people at the ‘Origin Good Energy Recharge Zone’ and you can keep up to date with all the Melon Festival action being displayed on the Origin Big Screen TV.” The tours are running on Thursday, February 14, at 8.30am and 1pm, departing from the Chinchilla Visitor Information Centre on the Warrego Highway. Bookings are essential and can be made at www.trybooking.com/book/event?eid=463040& or by phoning 1800 526 369. JUICY CROP: Melon picking ahead of the festival. wouldn’t be great this year. Weather, disease and demand can all affect how a season goes for melon farmers. Mr O’Leary’s farm was one of those affected by hail early in the season. “We didn’t get picking until nearly new year,” Mr O’Leary said. There are various stages in the life cycle of a melon, from the first sprouts of a vine seedling to the day it gets shipped off the farm, before finding its way to our tables. The farm tours will give you the chance to learn all about the process and talk to a farmer. Be sure to get in quick because secretary of the Melon Festival committee Tania Thornton said tickets to the farm tours were selling fast. Tickets for Thursday’s tour can be booked at www.trybooking.com/book/event?eid=443418&. For Friday’s tour go to www.trybooking.com/book/event?eid= 443419&. Running and Pulling deep well pumps. BIG BASH CRICKET FAST becoming a focal point of the festival, the Melon Big Bash cricket is back again for 2019. Chinchilla and District Cricket Association secretary Craig Scutchings said they had been holding the T20 game against the Bulls Masters for at least the last four Melon Festivals. “The event is our biggest fundraiser and has allowed us to provide high-quality facilities at the main Recreational Grounds in Chinchilla for the use of all teams and provide training and playing gear for the juniors of the region,” Mr Scutchings said. Crowd sizes vary, with upwards of 1500 people attending in 2013 and between 700 and 800 in other years. “The Bulls Masters have sent out high-profile players like former Australian Test and One Day players Andrew Symonds, Ryan Harris, Jimmy Maher and Stuart Law, along with numerous other high-quality players including Lee Carseldine – Australian Survivor runner-up,” Mr Scutchings said. Chinchilla local and Brisbane Heat and Bulls player Nathan Reardon has also been part of the event in previous years and will back up again for the latest match. Mr Scutchings said the Bulls Masters would provide several clinics to schools during their three-day visit, culminating in a juniors super clinic on the evening of the T20 game, prior to the game itself. “The juniors really appreciate the opportunity to meet the stars and learn new skills,” he said. The association holds a meet and greet sponsors night on the Wednesday prior to the main event. Excitement is building for the 2019 Melon Big Bash and associated clinics. Bar and canteen facilities will be available for cricket-goers to grab a meal and a few drinks while they enjoy the on-field entertainment and show their support for their team of choice, Chinchilla and District or the Bulls Masters. Entry is $5, with kids under 16 free. BIG MELON WEIGH-IN LONG before Chinchilla became the home of the Big Melon, local growers had been competing for the title with their own home-grown monster melons. The first title in 1994 went to Denis and Jan Dickman with their melon weighing in at 66.2kg. Over the years the contest has attracted competitors from out of town, with Bundaberg grower Garry Marsden taking the title in 2001 with his 72.5kg watermelon and the 83.6kg melon in 2005 grown in Kingaroy by D.K. and C.D. Reed. The biggest melon to win the contest was Bernie and Matt Davies’ entry in 2007, weighing in at 87.5kg. Last festival’s winner was Kyron and Bec Sturgess with their 75kg watermelon. We are proud to support the Chinchilla Melon Festival and congratulate committees, both past and present on 25 years of wonderful festivals. We invite everyone to come in and browse our range of quality Men’s and Women’s fashion clothing, shoes and accessories. FRIDAY FESTIVAL FEAST TEPPAN-style dishes, grazing table and a dessert buffet will cover all tastes at the Melon Committee’s Friday Festival Feast. Committee member Sally Thompson said the night was the second of its kind for the festival. “Its a relaxed evening to enjoy the oval, the open air and live music from local girl Jane Zerbst,” Mrs Thompson said. “It’s an atmosphere where people can do lots of talking, lots of eating and enjoy the background music.” Committee member Cheryl Henningsen said Base Camp and Sodexo were doing the catering. “They did an amazing meal last year, and they put a lot of effort into this,” she said. “Other than the really nice food that they do, they do these amazing melon carvings, so the guys actually get pretty excited about those.” Jane Zerbst will provide entertainment for the event which she describes as more laid back. “There’s just me, my voice and my guitar,” Zerbst said. Some artists Zerbst plans to cover during the night include Johnny Cash, Brandi Carlile, and more. Tickets for the feast are $45 for adults, $20 for children under 10, free for children under three and can be purchased from www.trybooking.com/book/event? eid=443420&. Some tickets may be on sale on the night if there are any available but pre-purchasing is advised for catering purposes. Ever met a Chartered Accountant with a sense of humour? With a nickname of “Hairy” Contact Jeff Hannaford who is a community minded Chartered Accountant and doubles as a Trouble Shooter. What can Jeff and his staff solve?? Anything!! Jeff Hannaford is a Community Chartered Accountant and Trouble Shooter who has been in business since 1978 when he opened up his ﬁrst ofﬁce in Inglewood. His business has now grown with another 2 ofﬁces in Texas and Millmerran. Jeff supports the AOOB Organisation because they are involved in charity and charity begins at home. Try Jeff and his staff’s experience in solving your Accountancy, Taxation and Financial worries Use Your Melon & contact Jeff today!! MELON FEST RODEO people to come along and bring their families. “Come on out and enjoy it,” Mrs Walsh said. The entertainment will continue after the dust settles with a DJ keeping the energy going. The rodeo is part of the National Rodeo Association calendar for this year and there will be points and prize money up for grabs. Bulls and broncs will be provided by Rick Knudson, Weller Rodeo Productions, BK Bucking Bulls and Robert Bunn. they will also be doing drop-offs to those sites after the event to ensure everyone can have a fun and safe night. Tickets to the beach party are $25 a person and can be purchased through Eventbrite. This is an 18-plus event. Live music will be playing well into the night, complemented by bars, food trucks and shuttle buses to ensure a fun and safe night for all. Mrs Gadsby said the Chinchilla community was very wonderful to the Cancer Council. Breakfast is only $12 per person so head down to Fuller Place for a good meal supporting a good cause and some wonderful entertainment from talented bush poets to start the full day that is festival Saturday. Heeney Street. Starting at 10.30am, the parade is a chance for businesses, clubs, community groups, schools and individuals to get into the spirit of the festival and entertain onlookers. Secretary of the Melon Festival committee, Tania Thornton, said the parade theme for this year’s festival is Silver, 25 years and all things melon. ABOVE LEFT: 'The Pink and Green Time Machine' in the Melon Festival Street Parade on Saturday. ABOVE RIGHT: 2017 melon fest parade. of the parade with new additions every year and familiar favourites returning. After the parade wraps up, stallholders will continue to sell their wares and food stalls will offer people a great variety of tasty treats. Arena events on the Chinchilla State School Oval also kick off not long after the parade concludes. MUSICAL FUN: Memphis Moovers bringing tunes to the festival. LET THE MUSIC MOOVE YOU THERE is always plenty of entertainment on festival Saturday but what about entertainment that comes to you? The Memphis Moovers will be back again this year, with their talent and flair drawing attention as they rove the festival area. Arrow Energy sponsored the Moovers’ appearance this year and vice-president external relations and tenure management Leisa Elder said the Moovers would bring a soundtrack that is going to help make the 25th anniversary of the Chinchilla Melon Festival one to remember. “Festivals need music and the Memphis Moovers deliver it – 1950s, ’60s, ’70s, ’80s and ’90s,” Ms Elder said. “The Moovers have it wrapped up in a package that drives about in a novelty car and sets up where it looks like people need a hit of rock ‘n’ roll. “Your ears can expect anything from a solid Elvis toe-tapper to a Led Zeppelin ground-shaker.” Catch the Memphis Moovers as they rove the Chinchilla CBD from 10am–3pm. SHOWTIME FMX SHOWTIME FMX will be stunning crowds with their stunts during three shows on Saturday. Betta Home Living sponsors the team nationwide and Chinchilla store manager Mark Blond said they were lucky enough to work with the Melon Festival to get the FMX guys out again. “It’s important to get behind these local events and expose Chinchilla to the rest of the world,” Mr Blond said. “We’re looking forward to having the guys back in town because they put on such a good show last time.” The Showtime FMX riders will be performing on Middle St at 1pm, 3pm and 5pm. Between shows there will be opportunities for people to get autographs and pictures with the riders. CHEF Matt Golinski will be demonstrating different ways to use melons in food at the Cultural Centre on Saturday, February 16. “I’m doing four cooking demonstrations throughout the day so I can’t make four fruit salads,” Mr Golinski said. “My plan is to show ways of using melons that people may not have really thought of before.” Mr Golinski explained there were savoury ways of using melons, not just eating them as sweets. “Other cultures throughout the world look at things like watermelons, rockmelons and honeydew melons in a different way,” he said. “In Australian we kind of just chop them up and eat them as they are but for example in Japan, and in a lot of countries, they sprinkle watermelon with salt or have it with fetta or things like that so it’s a balance of sweet and saltiness. “It’s quite nice, it’s a little bit in the same vein as salted caramel is a thing now, it’s all about that balance of sweet and salt.” Mr Golinski travels though the area for Easter in the Country at Roma each year and stops at Chinchilla on the way out. “Over the years I’ve always heard about the Chinchilla Melon Festival and been hoping that one day they’d call me and ask me to come to it so my dream’s come true this year.” Festival-goers can see Mr Golinski’s demonstrations at 9.30am, 11.30am, 1.30pm and 2.30pm in the Cultural Centre. TRY OUR 15 OR 20 MIN DELIVERY GUARANTEE! A finalist in 2017’s Pip-Spitting Competition. TOP SEED: Miguel Maestre from Channel 10 program The Living Room has a crack at the Pip-Spitting Competition at the 2017 Chinchilla Melon Festival. DIVE INTO THE FUN TESTS of talent and determination will take place in the arena on the Chinchilla State School oval during the bulk of Saturday afternoon. Festival-goers will have their pick of tried and tested sports, some done in the traditional way, others with improvements in place for the new festival. There are even a couple of new activities this year. To participate you must register at the QGC tent located at the north-east corner of the arena. Once you have completed the registration forms you will be issued an arm band that allows you to participate in the event. Participants under 18 years of age will need a parent or guardian to sign their forms. At noon you can put your fitness to the test with the Dash for Cash. The aim is to be the fastest to the finish line while carrying a melon that must remain intact. Competitors must be wearing enclosed footwear and have a registration band to participate. Jump on a bike and create your own pedal-powered smoothie. Just one of the many ways to enjoy some excellent locally grown watermelons. This event will run from noon to 4pm. Squelch your feet into a couple of melons, buckle up your helmet and hold on tight as you are towed down the ski strip. Will you make it to the end on your own two feet or be dragged through the melon guts? You can give this a go from 12.30pm to 4pm. HOLD ON: Melon skiing at the 2017 Chinchilla Melon Festival. Teams of four strap themselves into a bungy rope and compete to see who can reach their melon first. Think it sounds easy? Don’t forget you’re on a mat covered in slippery watermelon. Test your strength against your mates with melon bungy between 12.30pm and 4pm. Classic tug-of-war is great, but why not give it a go on a melon covered mat for an extra challenge? Grab your team and give the Slip, Dip and Pull a go on the arena between 12.30pm and 4pm. Gather around to see local legends and celebrities – the generous sponsors who help make the festival a reality – compete in a melon eating competition. Participants must eat as much melon as they can in a set time without using their hands. Be sure not to miss this spectacle at 3pm. displaying the strength and skill of teams tasked with getting their ride around an entire lap. Entrants will build their chariots from melon packing cartons, pallets, and ready-made axles before taking to the course. The aim is for the teams to complete an entire lap without falling from their chariot. Participants in the Melon Chariot Race must wear enclosed footwear. In a test of team work, competitors will pair up to compete for the title of Melon IronMan and IronWoman. Each team will need to showcase their abilities on a circuit consisting of obstacles, challenges and tasks designed to display the physicality of the melon ind ustry. The winners will be the team who completes the course in the shortest time with their melon intact. There is a maximum of 20 male and 20 female teams for the Melon IronMan/Woman event. Located close to Chinchilla State High School, Leichhardt House provides weekly boarding that allows students from the Western Downs region to attend Chinchilla schools. Leichhardt House managers’, Shaun and China Hall have an extensive background in residential education which has enabled them to have a well-developed understanding of many of the difﬁculties facing young people living away from home, some for the ﬁrst time. Shaun and China see the value in developing and maintaining good systems and structures as the basis for this friendly and happy community. Features of the service at Leichhardt House include: all meals including fresh lunches made daily; formal study sessions with access to Maths and English teachers; uniform laundered daily; modern and secure facilities and accommodation; access to community activities such as swimming; music; sports; art. Leichhardt House has been in operation for more than 20 years, consistently offering a cost-effective way for rural and isolated students to continue their education in mainstream schools. SATURDAY NIGHT CONCERT AFTER a day of fun in the sun, the family concert on the Chinchilla State Primary School oval will be the perfect way to wind down. Bring your picnic blanket or camp chairs and enjoy a night of music surrounded by other festival-goers. Numerous acts will grace the stage with Mental as Anything headlining the night. Mental as Anything’s vocalist Andrew “Greedy” Smith said he was keen to get out and explore some uncharted territory as the band approached the Western Downs. “It will be our first visit to Chinchilla, and it’s a rare thing that we haven’t visited a place. We’ve done that much touring over the years,” Smith said. Melon Festival committee president Doug McNally said he thought it would be a really good party. ABOVE: Mental as Anything will be headlining the 2019 Chinchilla Melon Festival family concert. RIGHT: Laser Light Show 2017 Melon Fest - Chinchilla Melon Fest. PHOTO: CONTRIBUTED, CS ENERGY place for Melon Fest visitors to unwind after all of the action in the melon arena earlier in the day.” For festival-goers over 18, “The Cage” will be operating at the Colamba Street side of the Chinchilla State School Oval from 11am Saturday until midnight. Entry is $5 and entertainment will be available with Eight Second Ride playing after the conclusion of the family concert. CLOSE IT OUT WITH A SUNDAY WIND DOWN WHILE most of the grand activities will occupy festival-goers over Friday and Saturday, there’s still a few events on Sunday, February 17 to bring the festival to a close. Markets will be hosted on the St Joseph’s School oval from 7am to noon for those wanting to browse the wares on offer. The Poet’s Breakfast will be on again at the Chinchilla Museum from 7.30am to 9.30am. Guests are asked to bring their own chair to sit and enjoy some bush poetry. Walk-up poets are welcome. A combined churches service will be held at the Chinchilla Cultural Centre from 10.30am featuring guest preacher Simon Ward. A morning tea will follow the service. Breakfast is available to purchase from the Queensland Cancer Council for $12 per person. The Chinchilla Museum will also have its miniature train running at a cost of $2 per person. Don’t forget to walk around the museum and take in their displays on the various facets of Chinchilla’s history and the surrounding areas. Chinchilla Bowls Club will be hosting a social bowls afternoon for anyone who wants to join the fun on the green. PHOTO: FILE another festival, you can be sure that the Melon Fest committee will already have their minds on 2021. Chinchilla Museum is a beautiful spot to unwind on Sunday morning and listen to some bush poetry. When: 11am-midnight Where: Chinchilla State School Oval, Colamba Street side. Cost: $5 per person, 18+ only. To ensure a constant water supply, install a water tank and make a positive impact on the environment, and your future. Check online for heaps more!